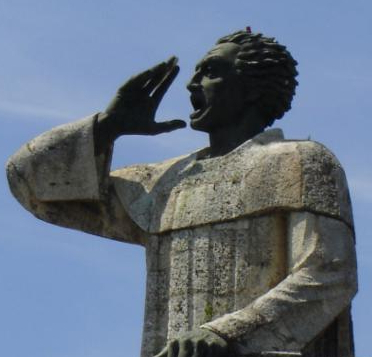 Apostle of the Indies, Bartolome' de Las Casas, died JULY 17, 1566. 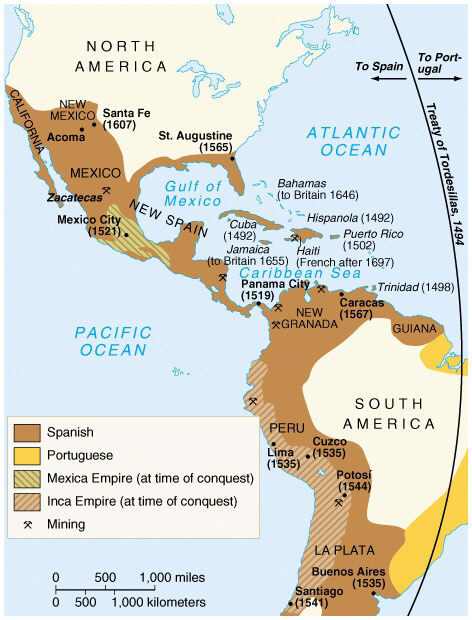 In 1502, he left Spain for the Caribbean, which was called the West Indies, where he became a hacendado of an encomienda (plantation) and a slave owner of native Americans. 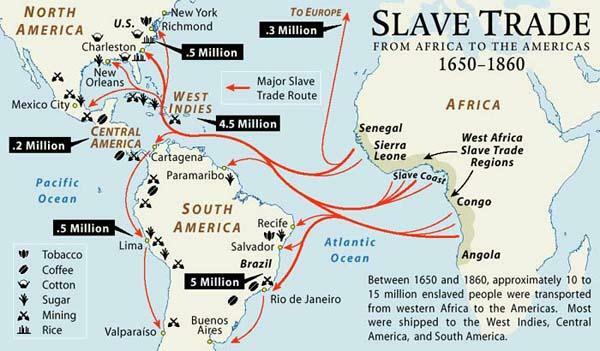 He participated in slave raids and military expeditions against the native populations of Hispaniola and Cuba. 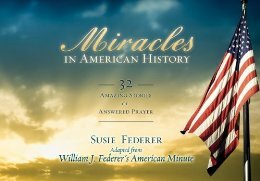 "I am a voice crying in the wilderness ... the voice of Christ in the desert of this island ... You are all in mortal sin ... on account of the cruelty and tyranny with which you use these innocent people. Are these not men? Have they not rational souls? Must not you love them as you love yourselves?" 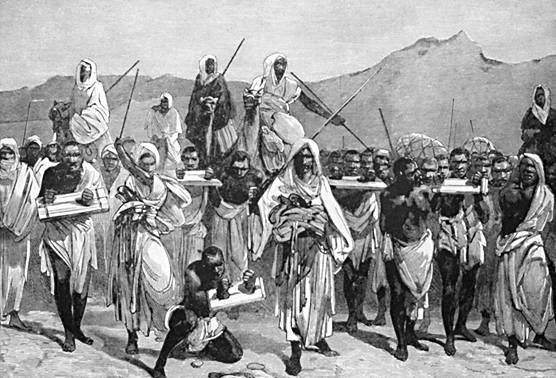 Why do you keep them so oppressed and exhausted ... from the excessive labor you give them ... in order to extract and acquire gold every day." 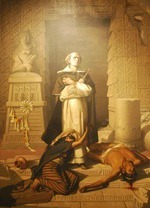 Bartolome' de Las Casas was convicted by Motesino's preaching and determined to follow Jesus, leading him to be the first priest ordained in the New World. If the church does not recapture its prophetic zeal, it will become an irrelevant social club without moral or spiritual authority." 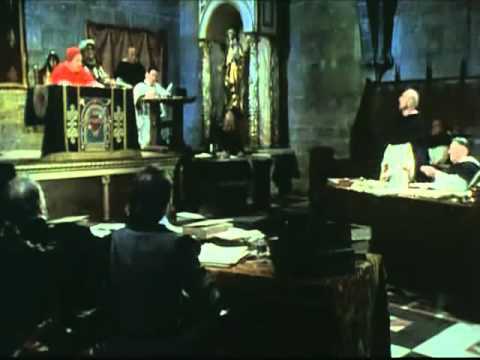 In 1514, while preparing a Pentecost Sunday sermon, Las Casas read from the Book of Ecclesiasticus (Sirach) 34:18-22, that if one offers as a sacrifice an animal that they have obtained dishonestly, it is unacceptable, and it is as murder to deprive someone of his means of making a living. 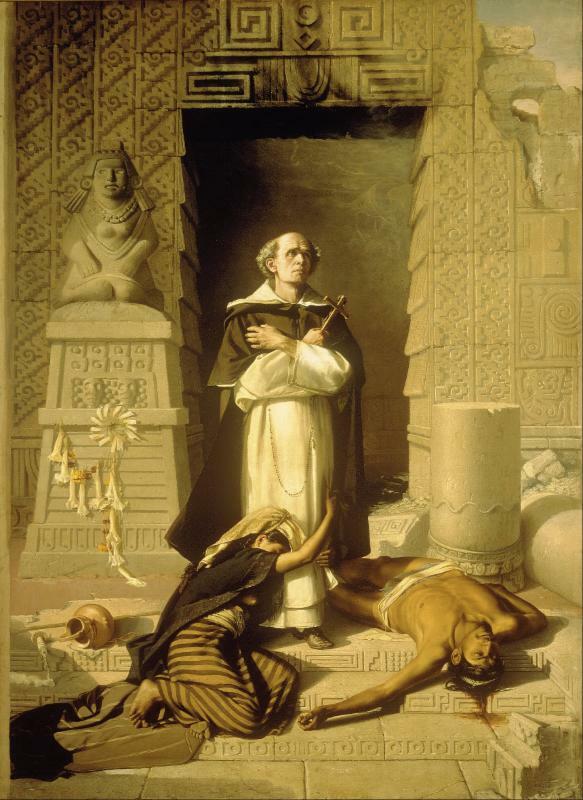 Convicted in his heart, Bartolome' de Las Casas dedicated the rest of his life to ending the enslavement of native Americans. 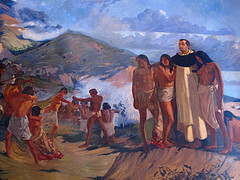 Las Casas became Bishop of Chiapas and was officially appointed "Protector of the Indians." 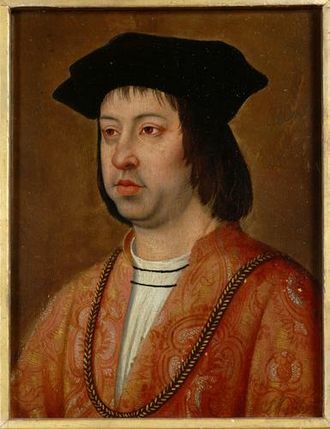 In 1515, two years before Martin Luther started the Reformation, Las Casas and Montesinos went back to Spain where they met with King Ferdinand on Christmas Eve. 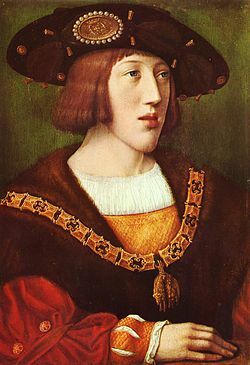 King Ferdinand agreed with their cause to end the enslavement of native Americans, but he died a month later before doing anything about it. 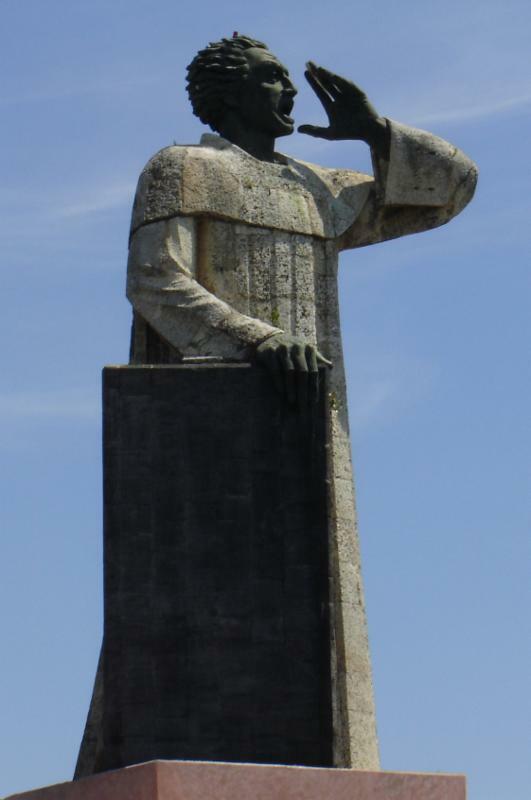 Las Casas, being now 40-years-old, petitioned the new 16-year-old King Charles V to end the military conquest of the new world and use peaceful means to convert Indians. 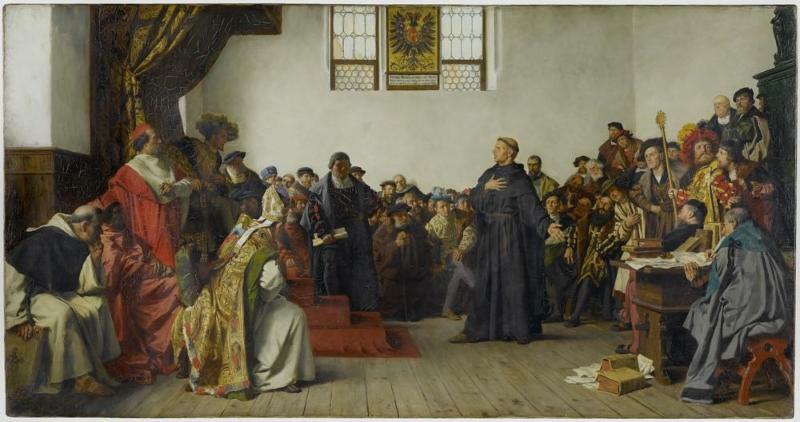 This was the same King Charles V who in 1521 presided over the Diet of Worms and the proceedings against Martin Luther. 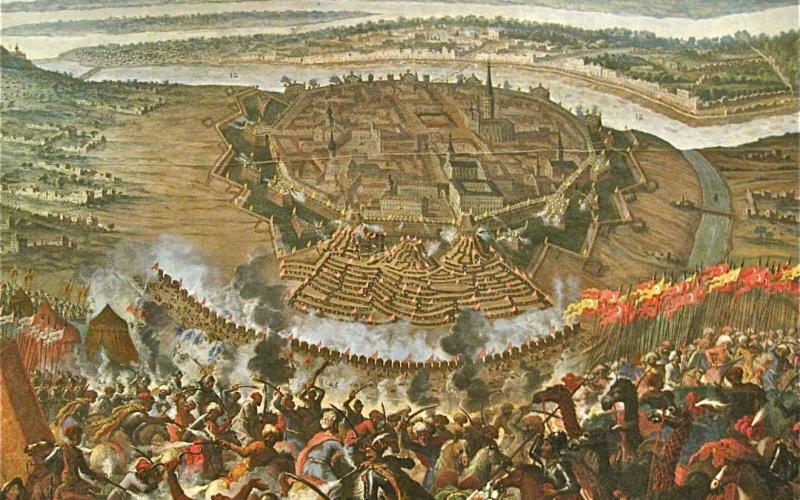 King Charles V also defended Europe against the jihadist Muslim warriors of of Turkish Sultan Suleiman the Magnificent, who invaded Hungary in 1526 and Austria in 1529. 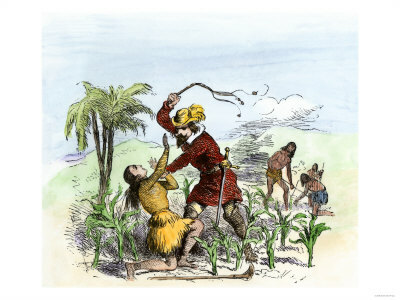 In 1520, Las Casas founded three Christian Indian towns in Venezuela, but Spanish encomiendas (plantation) owners stirred up natives to destroy them. 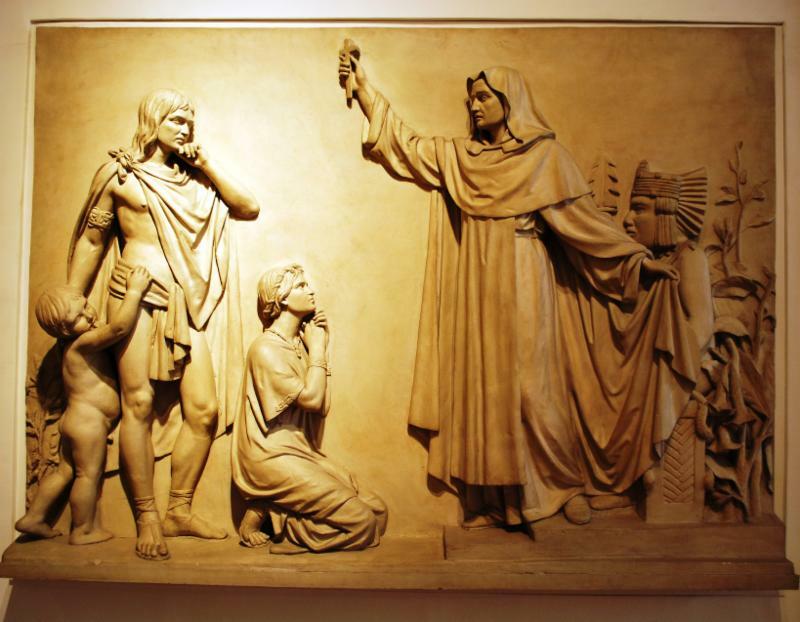 In 1531, on Tepeyac Hill outside of the former Aztec capitol of Mexico City, word spread of the Indian Juan Diego and "The Virgin of Guadalupe" which resulted in an estimate 15 million Indians being baptized in the next 20 years in what many consider the largest mass conversion in history. 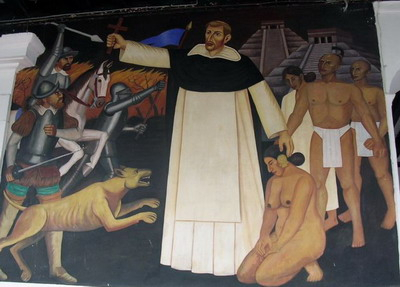 In 1536, Las Casas criticized Franciscan friar Motolinia for being too quick to baptize thousands of Indians before they were fully instructed in the faith. 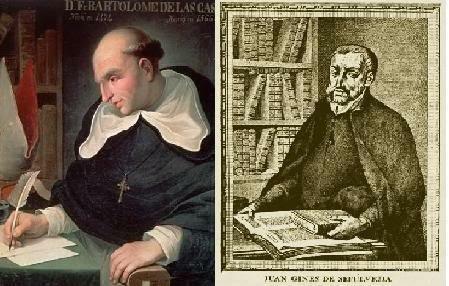 Las Casas wrote a treatise, titled: "Concerning the Only Way of Drawing All Peoples to the True Religion." Las Casas became hated by those without a conscience who profited off of slavery. Similar to the pro-life versus pro-abortion arguments of today, Las Casas debated Juan Ginés de Sepúlveda in 1550 at Valladolid. 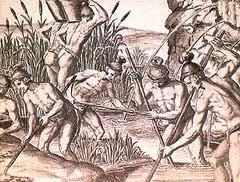 whereas Las Casas defended that Indians were fully human, created in the image of God and should not be enslaved. This conflict demonstrated the continual tension between the two threads that run through human history: GREED and the GOSPEL. 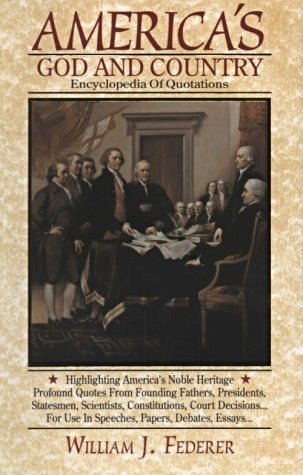 -provided literacy programs; and fought to abolish slavery. 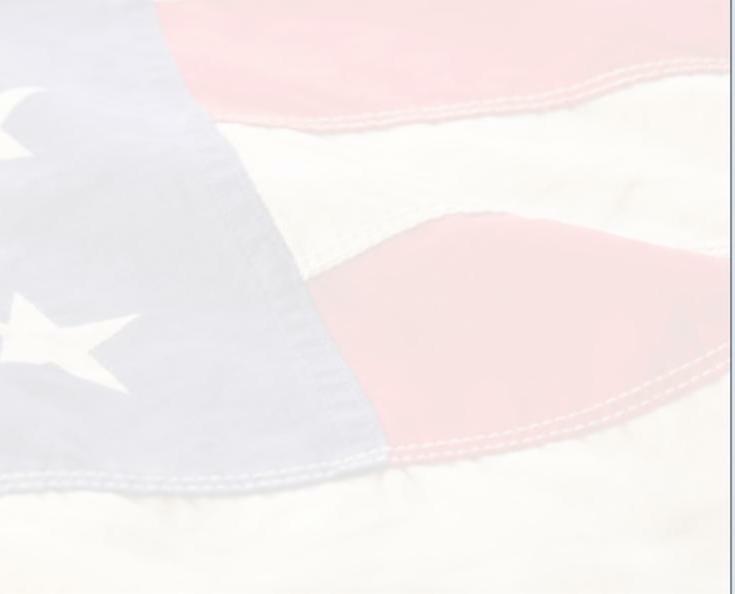 -voted for candidates who promise entitlement hand-outs even though those candidates disregarded the life of the unborn and favored the indoctrination of school children with sexual immorality. 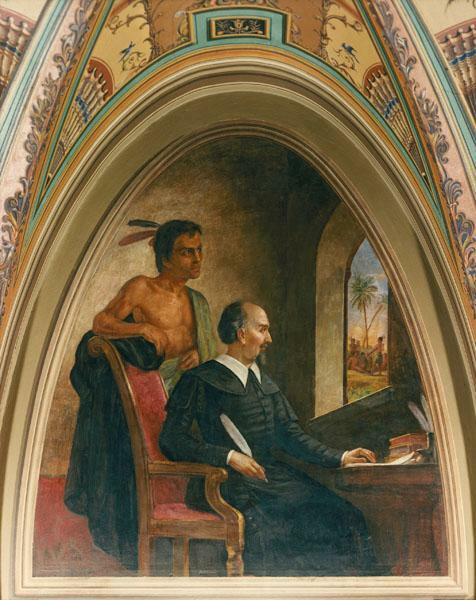 Motivated by the GOSPEL, Bartolome' de Las Casas spent 60 years of his life fighting for the rights of native Americans, resulting in him being considered one of the first advocates for universal human rights. 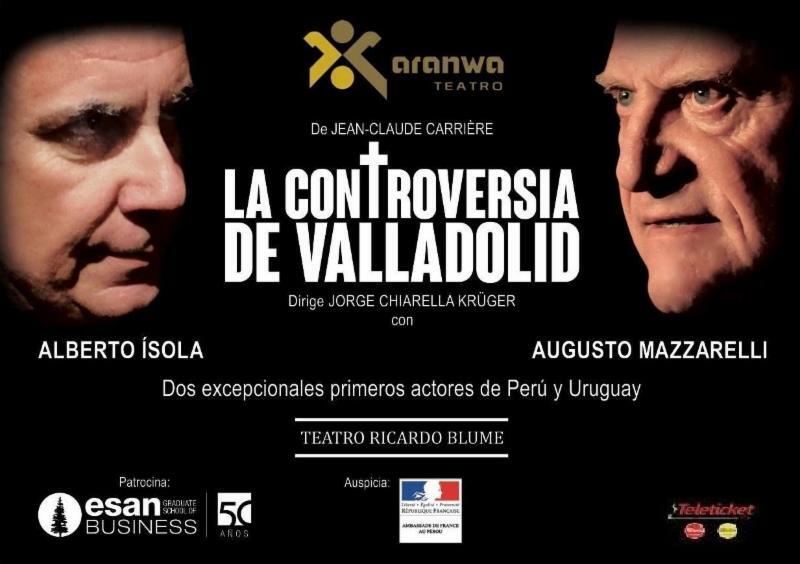 Las Cases declared in his tract "Confesionario" that any Spaniard who refused to release his Indians would be denied forgiveness of sins. 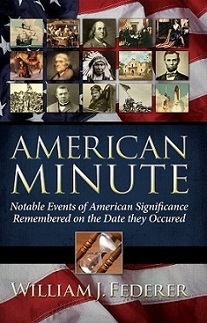 Las Casas wrote "A brief report on the Destruction of the Indians" and "Apologetica historia de las Indias." 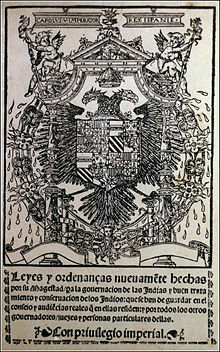 When Las Casas' writings were translated and spread around Europe, an outrage arose pressuring the Spanish monarch to issue Leyes Nuevas (New Laws) which ended slavery, and thus liberated thousands of indigenous Indians. Unfortunately, once enslavement of Indians was outlawed, plantation owners motivated by GREED replaced them with slaves from Africa. 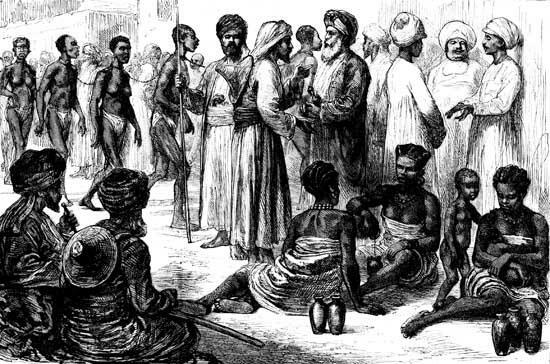 African slaves were purchased from Arab Muslim slave traders, who, in the 1,400 years of Islam are credited with enslaving an estimated 180 million Africans. 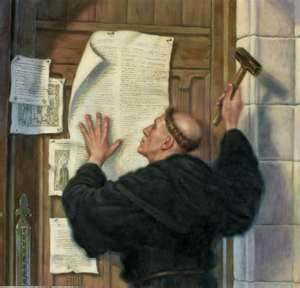 "The main goal of divine Providence in the discovery of these tribes ... is ... the conversion and well-being of souls, and to this goal everything temporal must necessarily be directed."